Liversedge have been given a big boost by local side Leeds United as they continue to rebuild after their clubhouse was broken into last month. 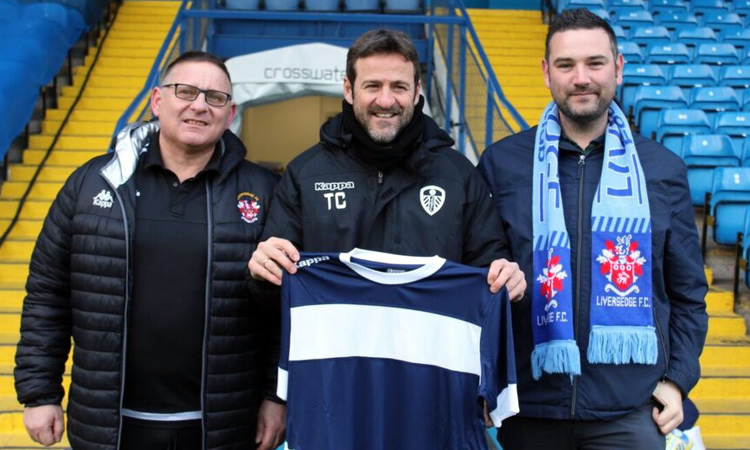 Liversedge, who play in the Toolstation NCEL Premier Division, have announced that their Championship neighbours have donated training kit, tracksuits and bench coats to club. That will replace some of the items that were stolen on Tuesday 21st November, 2017, when three doors were damaged and all of the club's bar stock was also taken. The took to Twitter to thank Leeds owner and chairman Andrea Radrizzani as well as James Mooney who is head of media and commu­nica­tions at Elland Road. They launched a JustGiving page to raise funds to replace the stolen items and damage caused by the break in and raised more than £1100 for the club.